Discussion in 'Introductions' started by Peachkins, Dec 2, 2016. Sorry, I saw this thread quite late and introduced myself in another thread. I am Peachy, and I have a 1 month old baby girl, Clara. It feels like I breastfeed for hours on end so I tripped upon this forum and thought I would join in. 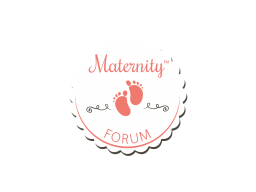 Welcome to Maternity Forum, @Peackins. First, I love your name. Second, Clara is so lucky to have such a diligent mum. Keep it up! Hey @Peachkins ! I love your baby's name, reminds me of Barbie in the Nutcracker hee. I've always loved Barbie movies until now. Anyway, I hope this forum would help you in your everyday life as a mom, like it has always did with me. Welcome to our family, Peachy! We're so happy to have you here. Breastfeeding can sometimes be a bit boring if you have no one to talk to and now you have us!